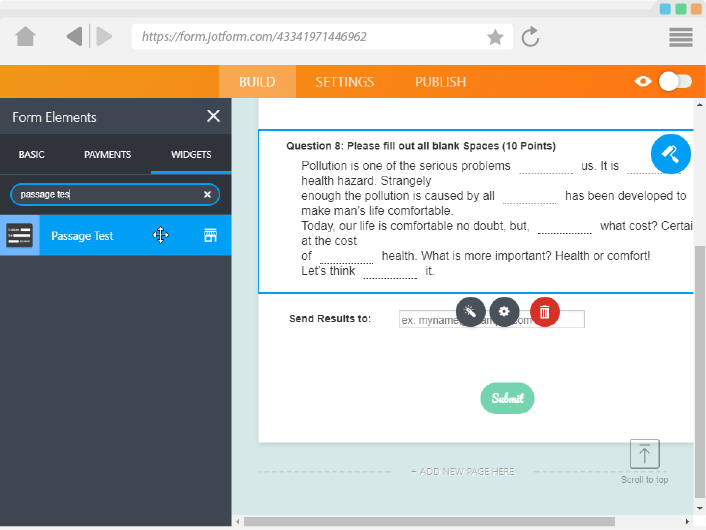 This widget allows you to present form questions as fill in the blanks. 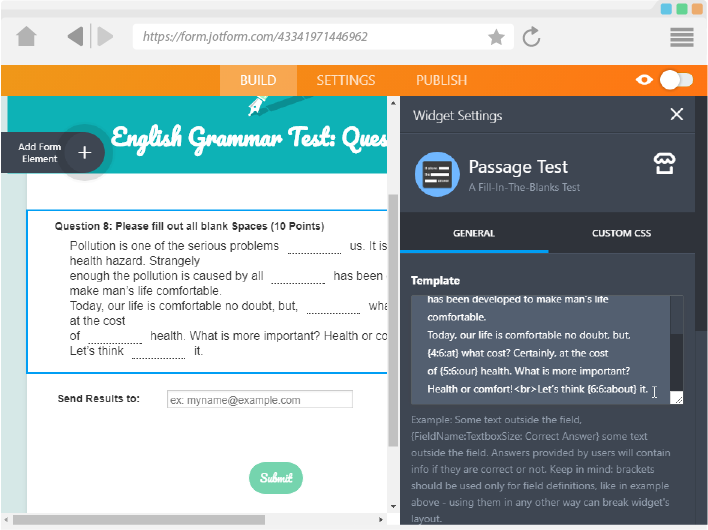 If you have a test or exam in the form of a passage you would like your form users to complete, then this is the ideal widget. 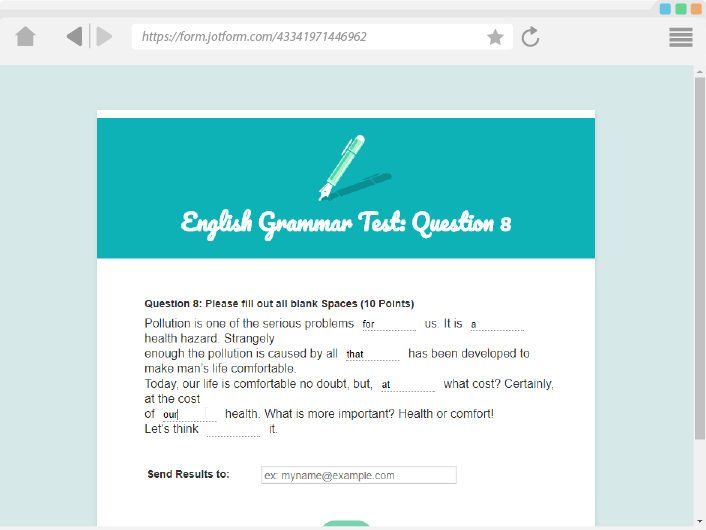 It allows you to present the test in a narrative passage, where you can configure where you would like the blank spaces placed as input boxes. The widget has another cool feature: It allows you to define the correct answer in the settings, and after the form has been submitted, each response will be marked as a pass or fail. This widget is perfect for evaluation, test or quiz forms.